Offering a seamless mix of suburban amenities and small town charm, Mendham Borough is one of the most desirable communities in North Jersey. Located in Morris County, and less than an hour from New York City and Newark, Mendham boasts excellent public schools, easy access to nearby highways and New Jersey Transit. Commuters, families and retirees alike will all fall in love with this charming, friendly little town. 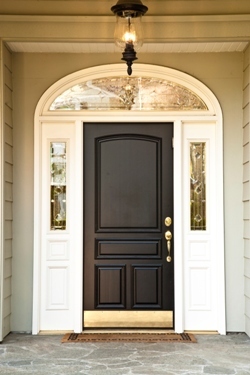 Mendham real estate enjoys a prime location in the heart of North Jersey as well as strong property values. Mendham homes are noted for their attractive designs and include single-family homes of all sizes and price ranges as well as luxury estates, townhouses and multifamily homes. Mendham homes for sale and other Mendham properties work out well for commuters to nearby cities, young professionals looking for quality homes in the region and families seeking a town with great schools and safe neighborhoods. 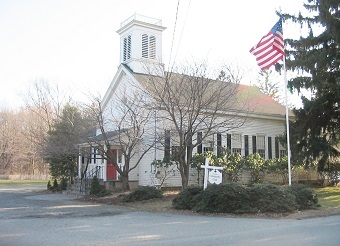 Mendham was established in 1749 and formally incorporated in 1906. Initially a quiet farming town, it grew steadily throughout the 1800s and became an outlying suburb of New York City after World War II, reflecting its growth and popularity as a safe and livable community. Today it offers a mix of suburban comfort and small town charm, hosting acclaimed public schools, a wide array of shops and restaurants and family-friendly appeal all around. Mendham offers a multitude of recreational areas -- parks, athletic fields, tennis courts, and public spaces to enjoy year round. These include Brookside Beach Community Pool, Borough Park and Pastime Field. It also offers close proximity to nearby golf courses, nature trails and beautiful protected areas like the Great Swamp National Wildlife Refuge and Morristown National Historical Park. In addition to its local shops, restaurants, galleries and public parks, Mendham is convenient to many attractions in Morris County such as Lake Hopatcong, the Loantaka Brook Reservation and Morristown National Historical Park. 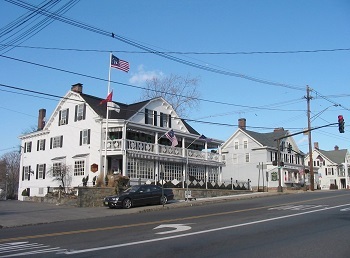 One notable and historical landmark is the Black Horse Tavern, which started as a stage coach house in the 1700s. They host events and serve up classic American cuisine. Local events in the community include a Labor Day Parade, the Harvest Hustle 5K Run and Kids Fun Run, the Mendham Gazebo Sunday Concert Series and more. Anyone interested in becoming a Mendham home buyer should see Maryann Johnston, an expert local real estate agent as soon as possible to find out about the latest property deals in this charming town. Call her today at 201-964-6451. Homes for sale in Mendham and other real estate in Mendham offer some of the best value, prices and location in North Jersey.